crazy. out of control. giant frizz ball. 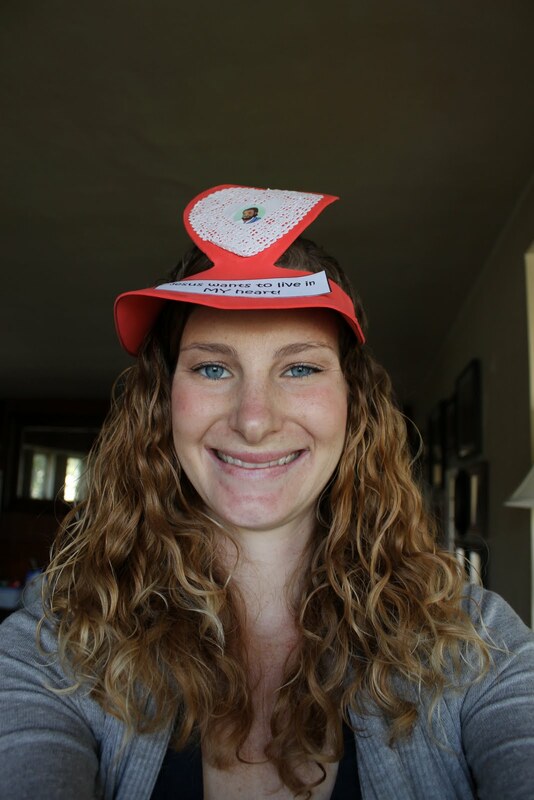 The awesome hat is Mackenzie's most recent craft project from Bible Study. She insisted I wear it for the picture. How could I resist?). except not quite as pretty. and then contemplate shaving my head. Anyways, I was wondering if any of you fellow curly hair people out there have any tips for me and my hair. Lots and lots of help. Any of your suggestions and/or favorite styling products would be greatly appreciated. Thus is going to sound gross, but don't use shampoo, it's drying out your curls! I too have what I like to call a white girl afro, and after hearing about the no-poo method, and reading Curly Girl by Lorraine Massey and doing lots of internet research, I tried it and didn't shampoo for 3 years. My hair was never dirty (because you clean your hair with cheapo conditioners, think Vo5, then condition with the real stuff) and after only a day or two my curls were defined and way less frizzy. Email me and we can talk curls girl! Deva Curl. Srsly. They have a full line of fabulous. Join the revolution! LOL You also need to talk to Ruthanne at Eclectic Whatnot. She is the curl master. Amanda has great tips, but I think (not sure because I've never read Curly Girl) that it is the sulfate in the shampoo that dry out our curls. I use a sulfate-free shampoo (it does not become foamy) and a conditioner. I use a microfiber towel to dry it out, so the curls don't split apart. Then I put in a hair "polish" which I think is just a kind of leave-in conditioner. I won't give the brand, because I live in the Philippines and I'm sure that it isn't available there. Hope I helped a bit! I sooo feel your pain! I love that you posted this so I can steal some tips. But honestly, the best thing I ever did for myself was to fight back and start getting Brazilian blowouts (not the kind with formaldehyde). 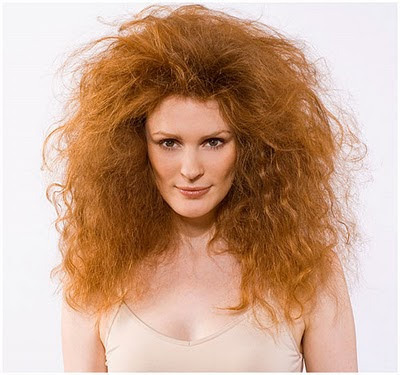 You can still wear your hair curly if you want, it just relaxes everything and takes out the frizz. I'm hoping they perfect the technology because it's expensive and doesn't last very long (a few months) but I've never loved my hair as much. I don't have curly hair, but I think yours looks great! :) I actually dreamed last night I got a perm. . . weird! I will also vouch for the Deva Products. The No-poo shampoo has no harsh sulfates. Then use OneCondition. Most days I only use the OneCondition. You might also want to find a local haircutter that specializes in the Deva cut. My daughter has my hair and its been so much easier knowing which is the right product to use on her. These products have literally made me fall in love with my hair everyday and love to wear it down. And I have very thick hair like yours. Your hair looks great cute in the picture.